Since the first microscope was invented, researchers and scientists around the world have searched for new ways to stretch their understanding of the microscopic world. In 1981, two IBM researchers, who went on to become Nobel Laureates, Gerd Binnig and Heinrich Rohrer, broke new ground in the science of the miniscule with their invention of the scanning tunneling microscope (STM), which enabled scientists to visualize the world all the way down to its molecules and atoms using a a quantum phenomenon called tunneling. Tunneling atoms escape the surface of a solid to form a kind of cloud that hovers above the surface; when another surface approaches, its atomic cloud overlaps and an atomic exchange occurs. By maneuvering a sharp metal conducting tip over the surface of a sample at an extremely small distance, Binnig and Rohrer found that the amount of electrical current flowing between the tip and the surface could be measured. Variations in this current could provide information about the inner structure and the height-relief of the surface. And from this information, one could build a three-dimensional atomic-scale map of the sample’s surface to reveal what atoms look like for the first time. IBM scientists in Zurich continue to push the boundaries of this instrument and in a paper appearing in Nature Materials today titled Nanoelectrical analysis of single molecules and atomic-scale materials at the solid/liquid interface they have developed a new and frugal technique which enables the direct imaging and stable electrical read outs of single-molecules in a liquid environment using STM at room temperature. In the unique and ultra-controlled environment of the Noise Free Labs of the Binnig and Rohrer Nanotechnology Center, scientists are using a high-density liquid called silicone oil to serve as liquid-brakes to nearly freeze single molecular motion and ultra-thin organic spacers to electronically decouple the molecules from the contact metals. molecules adsorbed on spacer-coated gold substrate. 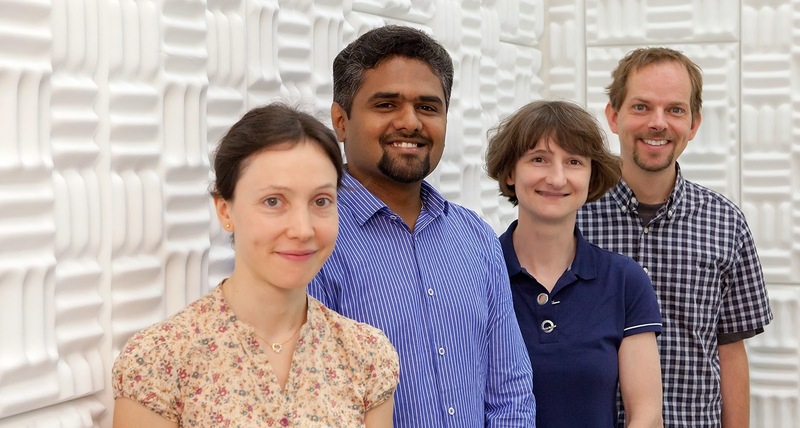 The combinatorial effect allows the scientists to record high resolution real-space images and decode the intrinsic electronic structure of single-molecules. 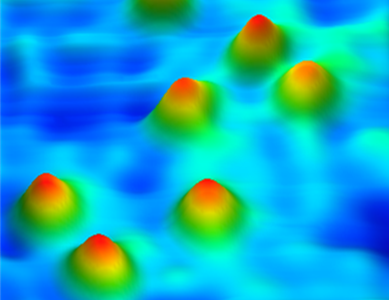 The technique has been successfully extended to further resolve the atomic-lattice, quantify topological defects and map the band structure of monoatomic graphene. In addition to applications in hybrid electronics, where electronically active molecules (organic switches) are embedded into 2-D crystal matrices, these findings provide new pathways and insights in mapping DNA electronic structure and dynamics as they interact with graphene nanopores, which has direct implications in engineering genome sequencing devices. This research was done in collaboration with chemists from IMDEA-Spain and Theoritical Physists from University of Limerick, Ireland.